Teachers and students at our school enthusiastically participated in the second annual Digital Learning Day, a nation-wide initiative to promote and celebrate the use of instructional technologies. We joined nearly 25,000 teachers and millions of students across the country in an effort to recognize successful digital learning practices. Digital learning is changing education in powerful ways, and the benefits are obvious: when given access to digital tools, our students exhibit higher levels of engagement and demonstrate the ability to access information, create, think critically and communicate globally. 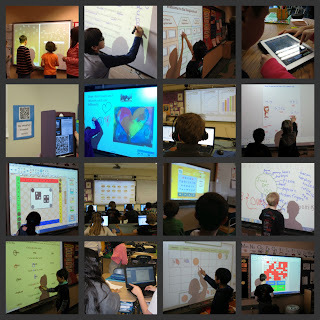 This collage represents just some of the digital learning happening at our school on February 6, 2013, which is not much different from the digital learning that happens here every day!